In business, efficiency is everything. Finding the right tool for the job can save time, money and provide a safe working environment. Creating a tool can change things for your business and that of others. The forklift is the perfect example of something designed to solve a problem and which has been innovated when that problem and need has changed. 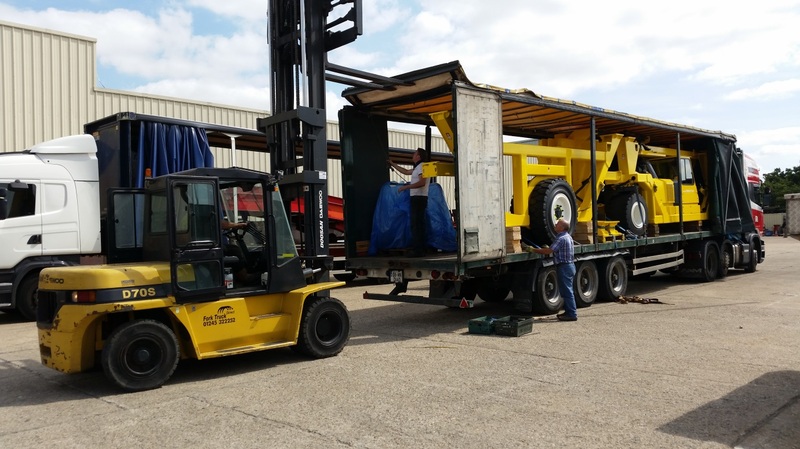 One of the most widely used and useful pieces of equipment in manufacturing, operations and logistics across the globe, our love affair with the forklift has never waned. Almost one million machines were sold by the top 20 manufacturers in 2013 alone. From hand-operated baggage wagons on American railways to modern-day forklift trucks, we’ve made moving things much easier over the last century. An early influence for the modern forklift was created by the Clark Equipment Company in 1917. Their ‘Tructractor’ resembled a traditional tractor with the ability to move materials across short distances. Manually operated, its popularity grew and Clark began manufacturing them for other companies. A chain system was developed so items could be lifted from the floor vertically. Although still operated manually, this small innovation made freight and material transportation much easier. In 1923, Yale introduced a ratchet and pinion system, allowing the operation of a vertical mast and lifting fork. Materials could now be lifted above the height of the truck. This version was the first real forklift truck as we know it today. A key development was the standardised pallet in 1930, allowing all forklifts to adhere to a universal size. This also helped as warehousing increasingly expanded up rather than out, but also required development in the machines. British Company Lansing Bagnall introduced the first narrow aisle moving mast reach truck in 1954. Able to lift loads up to 50 feet off the ground, business owners could increase capacity with higher shelving and narrower aisles without having to expand their premises. The onset on World War One and World War Two made the need for ease of transportation and efficiency greater. The war effort required huge amounts of materials to be moved in a short space of time, so development of a new and improved lifting truck became a priority. A lack of labour in the USA and Europe meant that the forklift came into its own, providing spare pairs of hands to move and store essential materials. With these developments came safety concerns, and it wasn’t until the 1950s and 1960s that basic features such as overhead guards and load back rests were introduced. During the 1980s health and safety was taken more seriously, as was the comfort of the forklift operator. Ergonomic design was introduced to enhance the comfort and safety of the driver, while ensuring efficiency wasn’t affected. 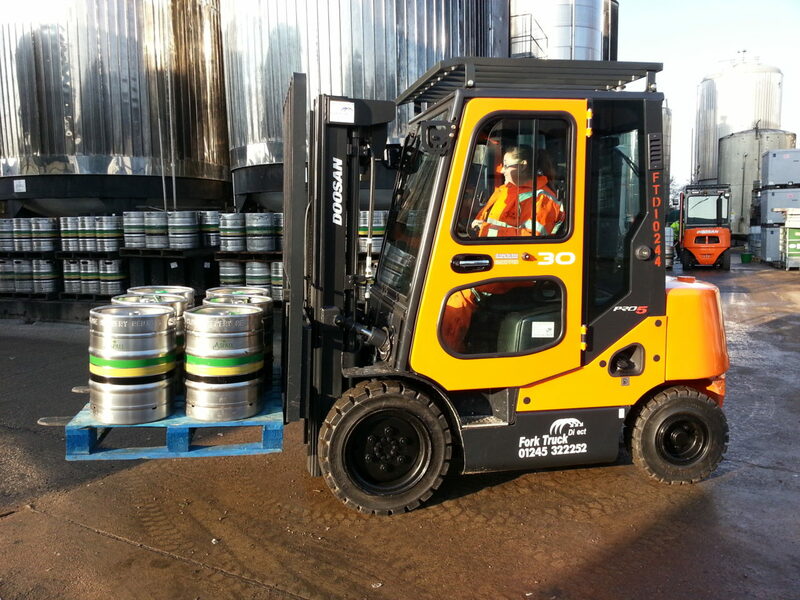 The forklift truck we use today has seen huge innovation, and that won’t stop anytime soon. Since exhaust emissions in forklifts were addressed in the 1990s, further developments have been made to the operation, efficiency and environmental features of the machines. With advancements in fuel cell technology and refinements in the development of forklift design, the future looks bright for our favourite tool. Many industries are benefiting fro these improvements, from building and construction to home & office moving and storage.